And I’ve finally managed to get to the first of the court cards. Like a lot of other folks who read tarot, I sometimes struggle with these, although I do feel a familiarity and/or affection toward some of them. 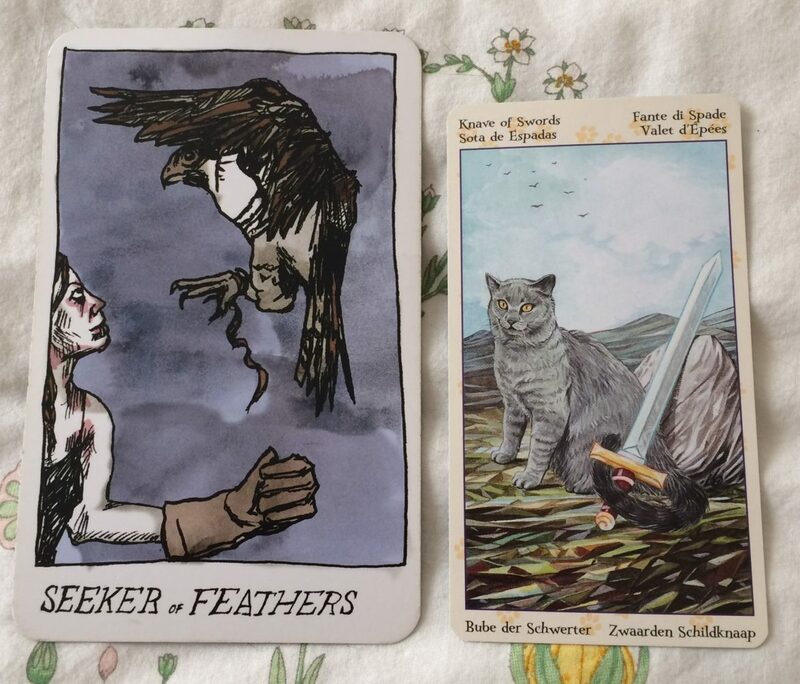 Seeker of Feathers from the Collective Tarot: A large bird is either about to land or has just take off from the arm of a person standing with a thick glove on. They are looking up at the bird. In the Collective Tarot, they refer to the court cards as “phase cards,” which are meant to relate to specific life phases or stages of growth. Of course, they can also always refer to specific people in our lives. So, what does the role of the Seeker mean to me when it comes to the intellect and communication? Since this might be seen as the first step in realizing the potential of this suit, it seems to be saying that you should stop hesitating and state your piece. This could be something wonderful you need to do (making sure the people around you know how you feel about them) or something kind of annoying/exhausting you should take care of (being clear you are upset with someone or establishing/reestablishing boundaries). For me, this can be a reminder to just spit it out already. I process internally and privately most of the time, so sometimes I need to reach out to discuss things or finally take action on the things I’ve been contemplating. I also shouldn’t be annoyed that someone doesn’t know how I feel about something if I haven’t actually told them yet. If this is referring to a person, it is someone who is a good communicator, someone who can speak clearly and be heard. 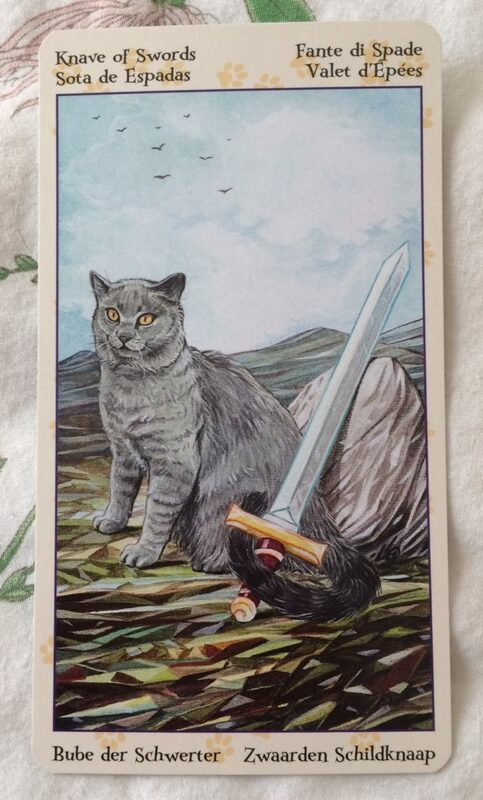 Knave of Swords from Tarot of the Pagan Cats: A cat sits with its back to a large rock and its tail around a sword. 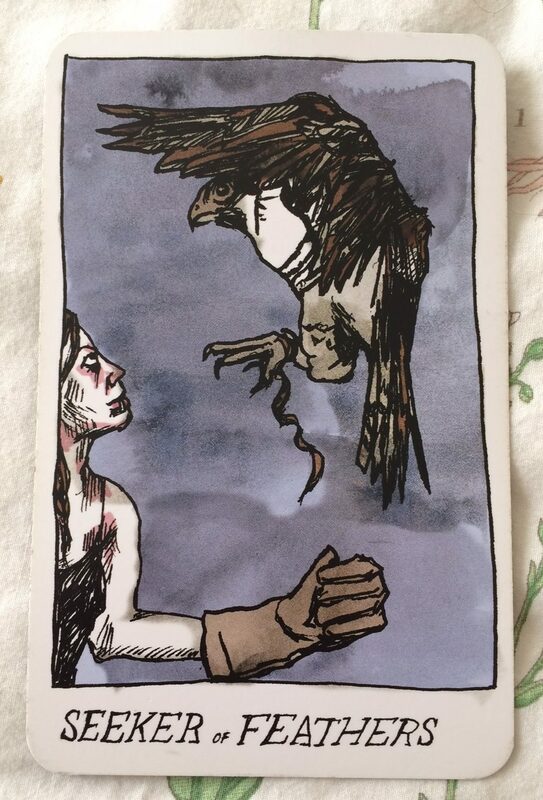 The traditional meaning of this card seems to veer a bit more negative than the Collective Tarot’s version, but that may say more about me than the card itself. It shows being in an energetic, very talkative space, but may depict a situation where all that’s being done is talking. Once again, it’s time to take action instead of just rambling on and on about something. I remember pulling this card a lot after a breakup, and it now makes sense to me because I did tend to talk about a lot of the same issues over and over again. While that can be useful at times, there comes a point where you need to take action of some sort. This can be telling someone how you feel about something, actually doing something else to move away from the situation, or just letting it go. Stop talking in circles and act.